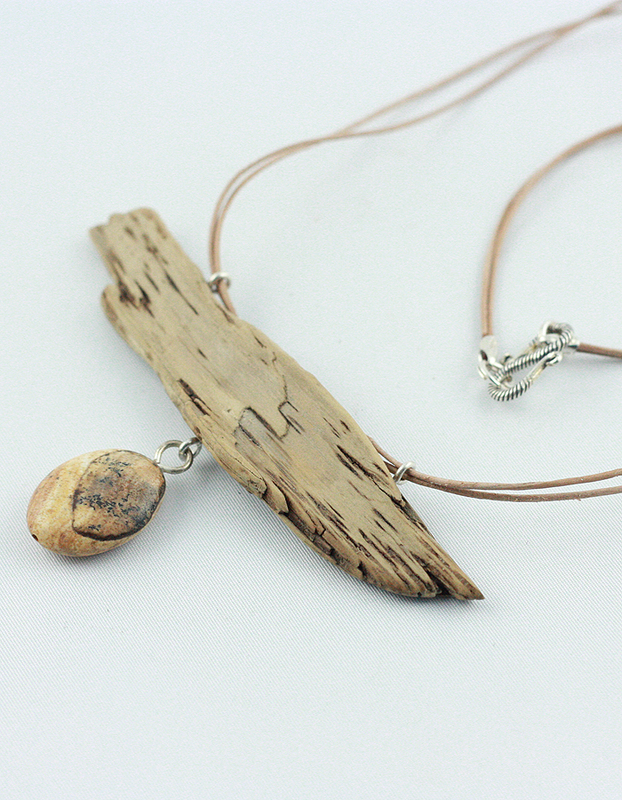 “Birkholm” – With its shades of beige this necklace is a great supplement to bright as well as dark clothing. 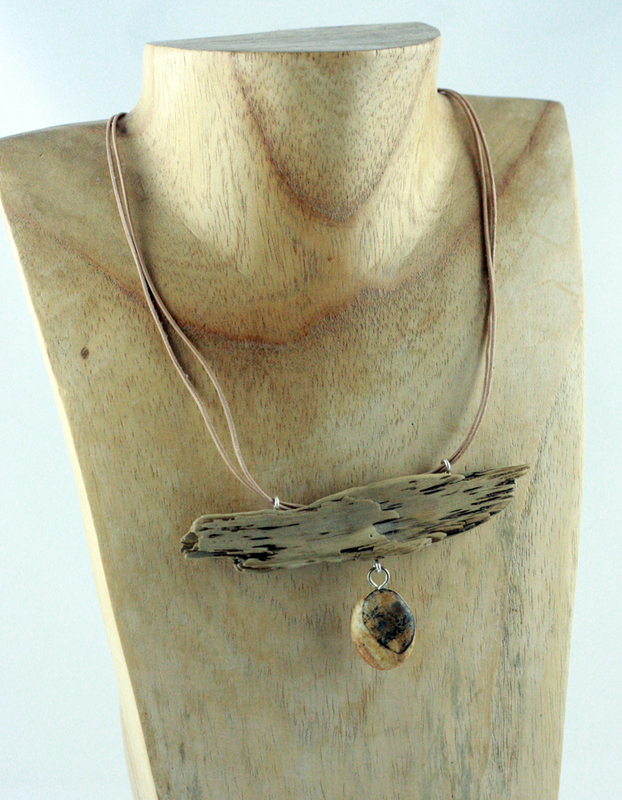 depending on the background this piece is capable of beeing either a focusobject or a accompaniment to an outfit. 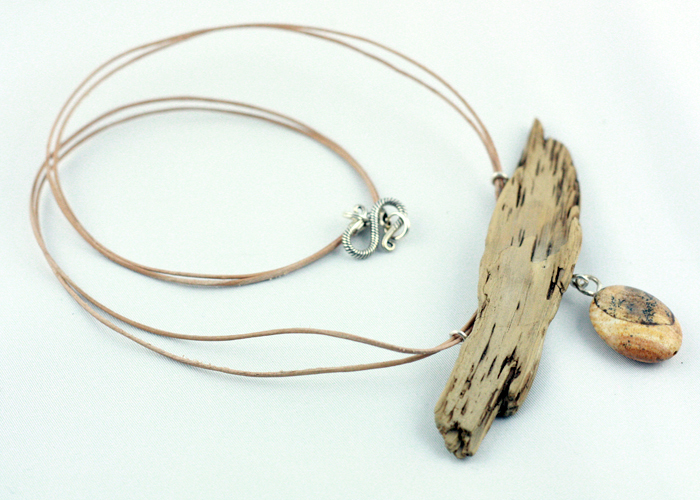 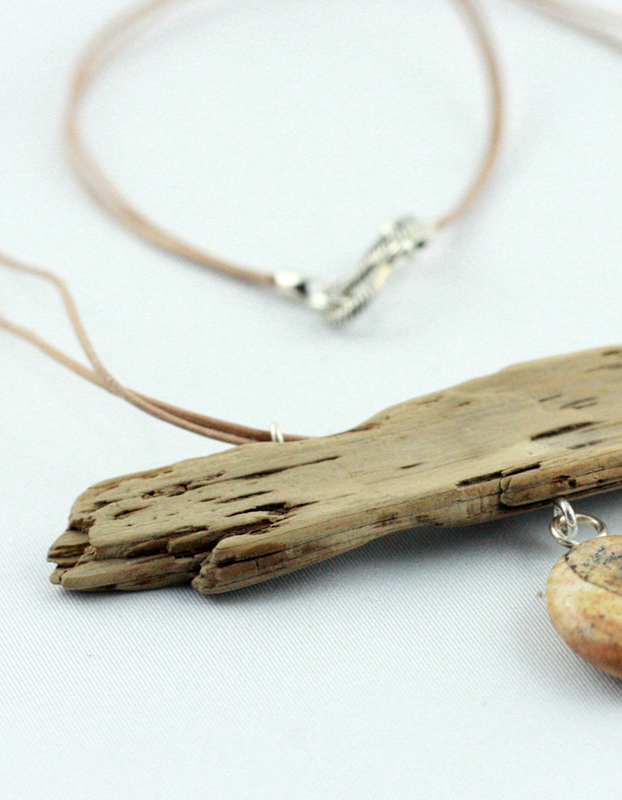 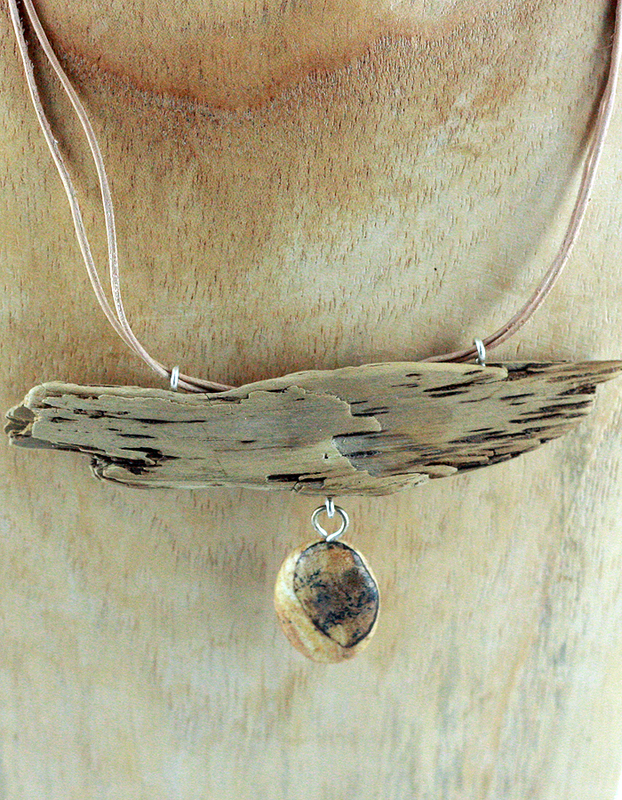 The contrast of black and light brown within the driftwood gives the necklace its special look.